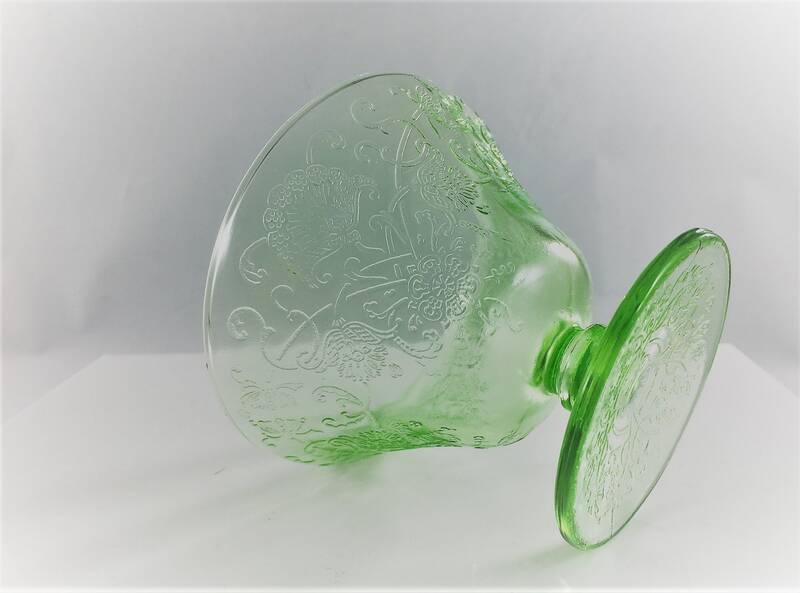 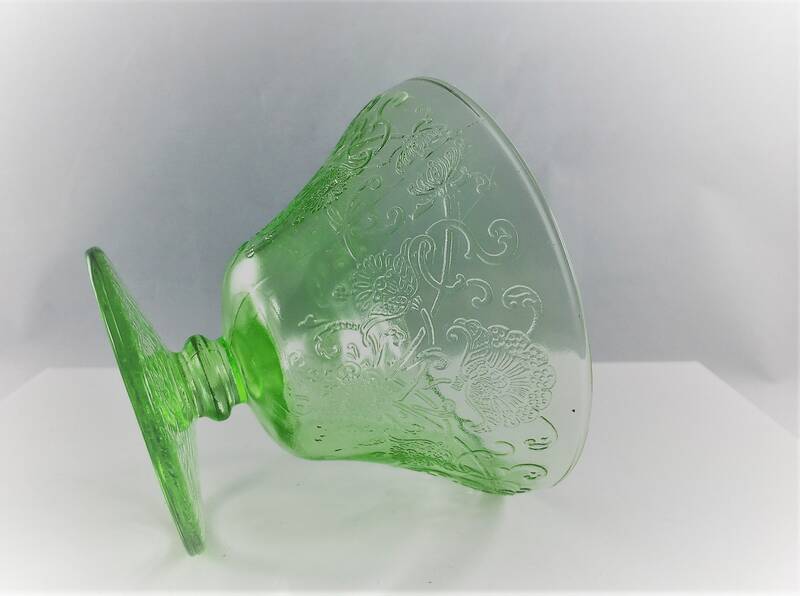 Featured is a set of great pieces of green Depression glass. 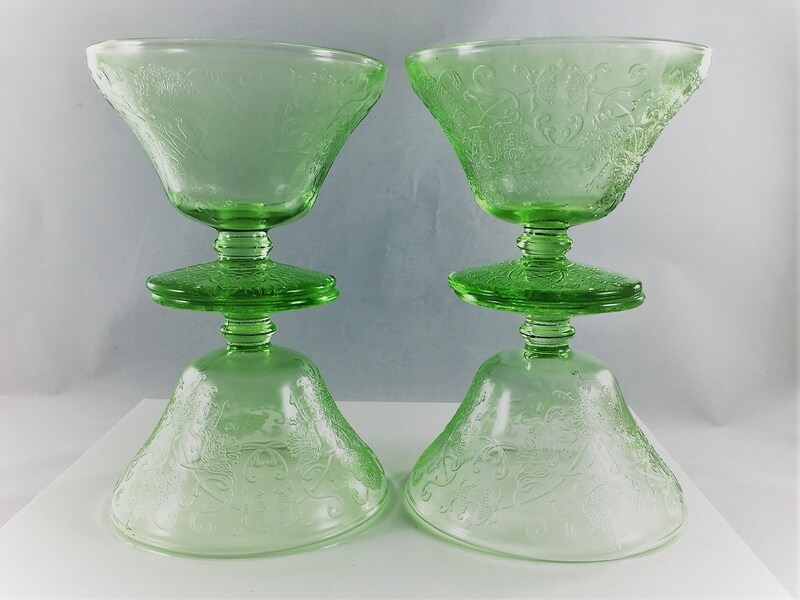 These Champagne or Tall Sherbet Cups are from Hazel Atlas Glass and part of the Florentine 2 pattern which was produced from 1932-35. 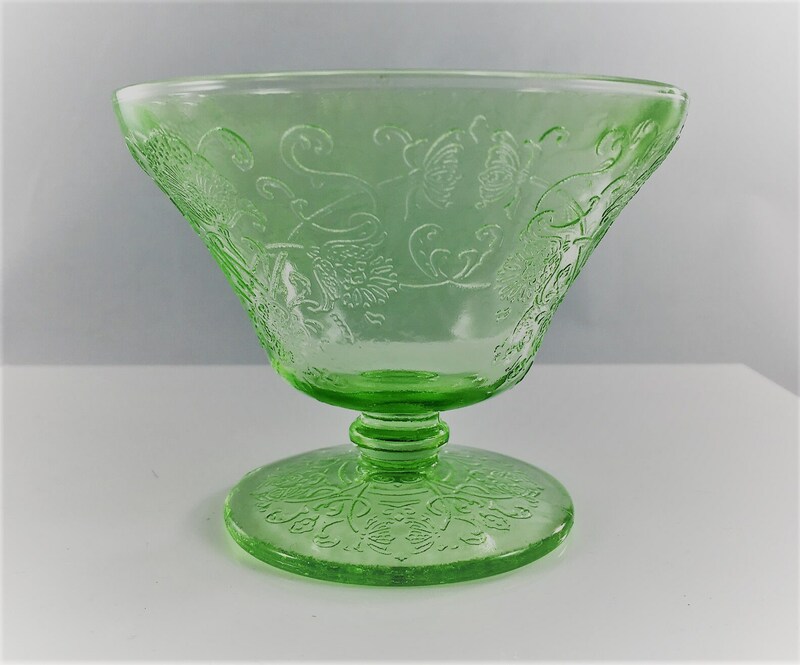 This mold-etched pattern was offered in this Killarney Green as well as Topaz (yellow) and Sunset (pink). 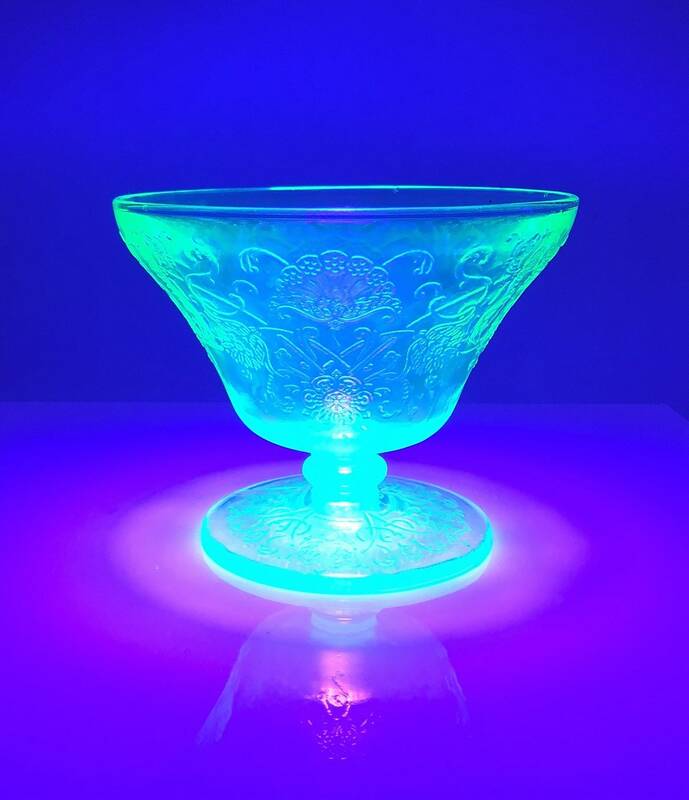 These pieces are in excellent vintage condition and BONUS - they're uranium glass so they glow brilliantly under UV light (see photo). 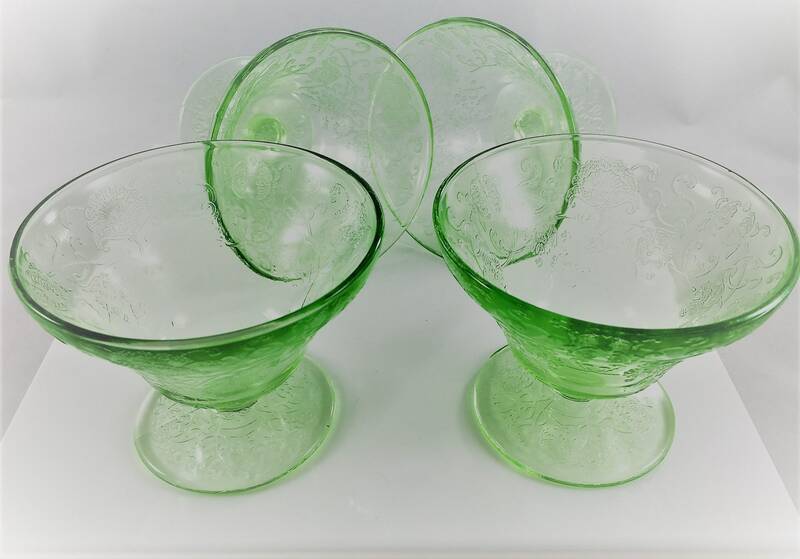 All four pieces offered here for one low price.